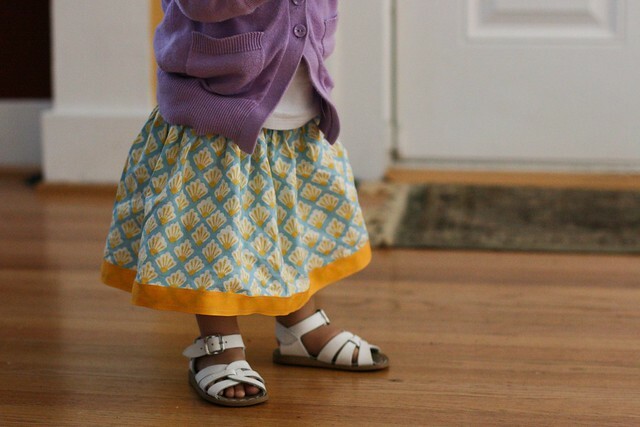 i have a soft spot for the oliver + s lazy days skirt free pattern. it was the first article of clothing i made after the husband gave me a machine for mother’s day, and i learned that i should DEFINITELY follow instructions when learning to sew rather than winging it at first, because it’s an art that’s been around for a long long time, and i had a lot to learn. 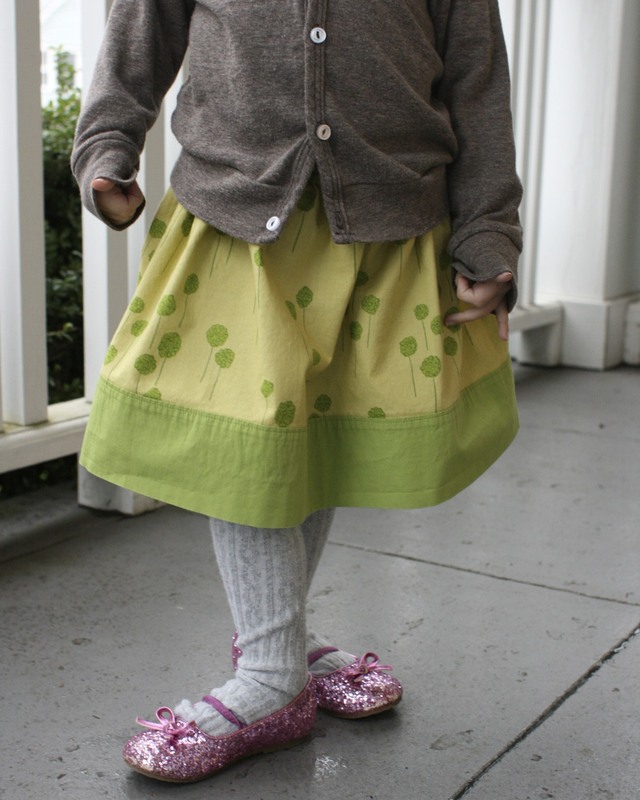 here’s my daughter modeling my first creation in the summer of 2009.
i decided (at 10pm on wednesday night) to sew a little green skirt for her to wear on st. patrick’s day, with plenty of growing room to last her through the spring/summer. the print is valori wells’ berries in sage, and the solid is a poplin. i’d never used poplin before, but it’s really nice – softer than quilting cotton, and the color matched the print beautifully. i can’t get enough of the spring green. i made it plenty long because my little beanpole tends to grow up, not out. 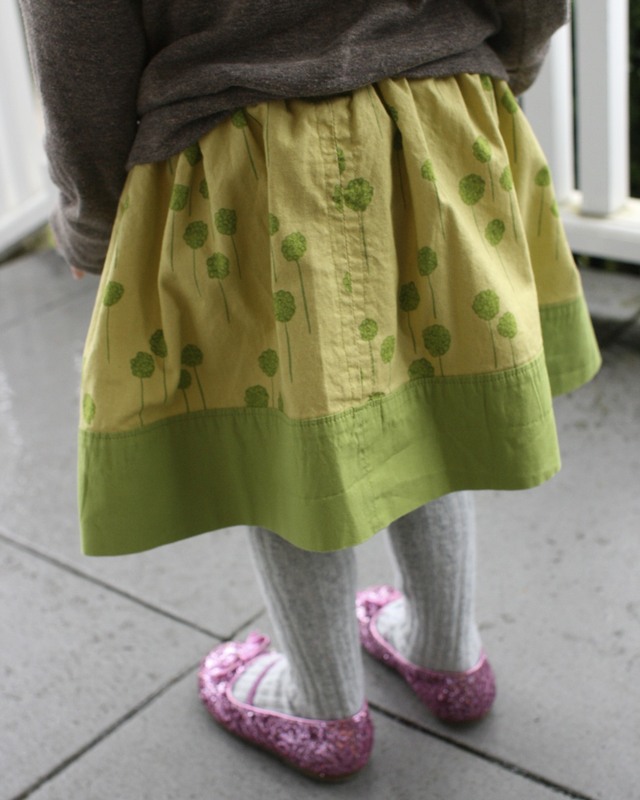 she loves her newest skirt (yay!). 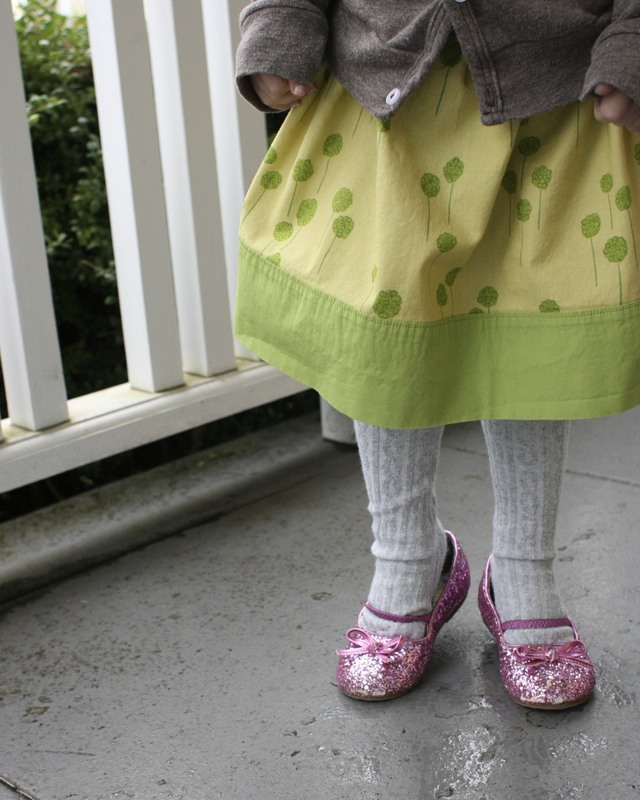 it helps that she’s in a “ballerina” phase and currently only wants to wear skirts or dresses. i’m happy to oblige. “dorothy shoes” are also a must. Very cute! I am all about spring-y colors right now too. the skirt is adorable. i miss dorothy shoes!